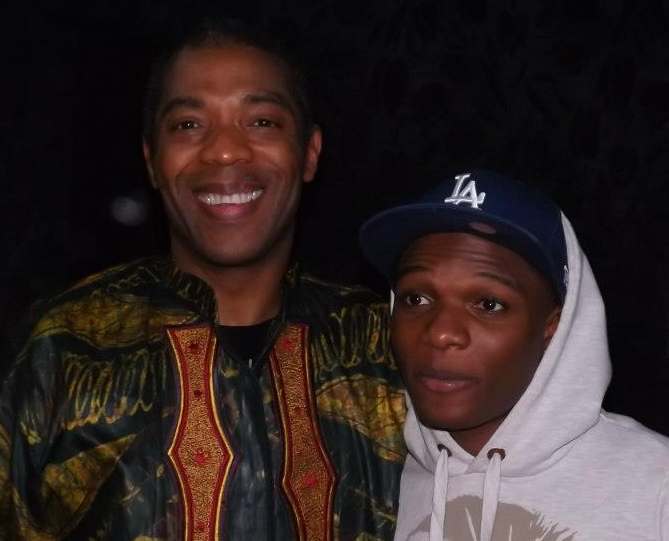 Shortly after the single "Jaiye Jaiye"by Wizkid @wizkidayo featuring Femi Kuti @femiakuti was released, a twitter fan, Black Phoenix @blakknach threw a Sucker Punch at Femi via Twitter. 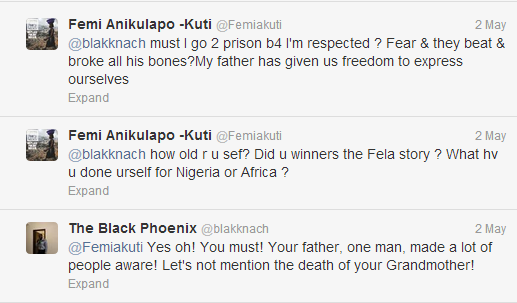 Well, the Son of Late Fela Anikulapo-Kuti was not shy to put on his boxing gloves too. 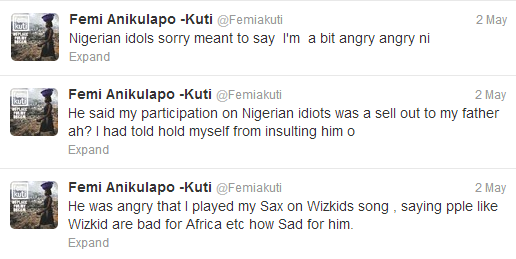 Visit their twitter accounts for the rest of the tweets, its a lot. 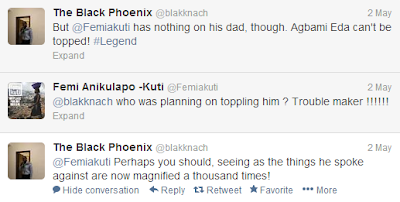 So... what do you think? 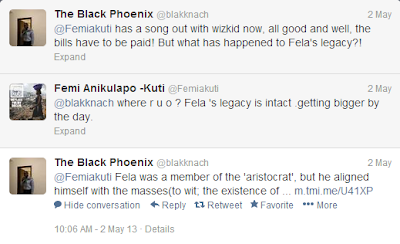 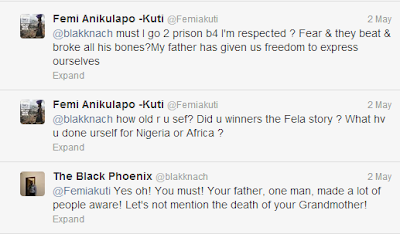 Black pheonix or whatever his name is..is an ignorant, self servin, weed smoking, fela pikin wanna be! 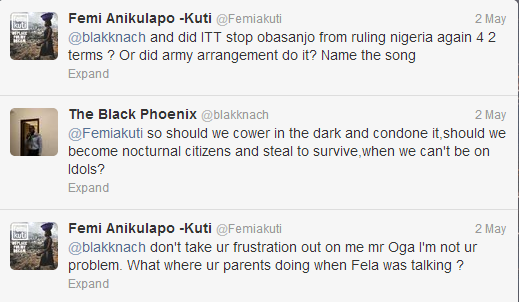 He made absolutely no sense...Femi carry go!